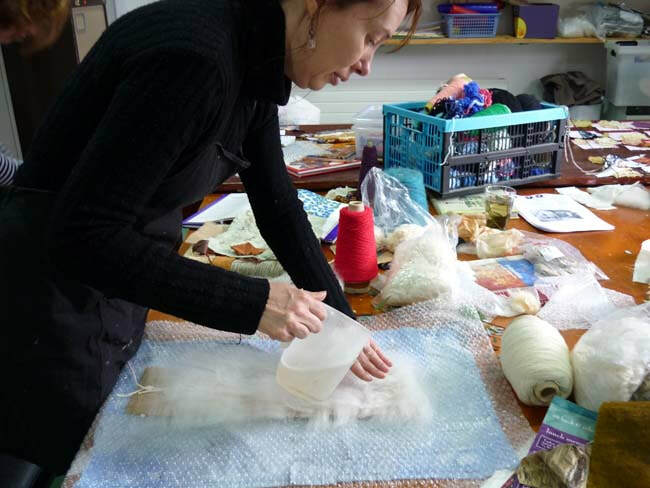 ​TAILOR-MADE WORKSHOPS IDEAL FOR HEN PARTIES, TEAM BUILDING, BIRTHDAYS OR GET TOGETHERS WITH FRIENDS. ​Learn to make colourful jewellery, key fobs, tiles with copper and glass, fused together in an enamelling kiln. Design your own pendants, key fobs, brooch in plaster and see them transformed into pewter! Incredible colours and patterns created on paper and fabric from leaves and flowers. Be prepared for a slightly noisy session! Creating pots or sculpture in clay. We have pottery wheels if you would like to try your hand at throwing a pot! Beautiful colourful tiaras, brooches, table decorations in folded paper. Contact us for more information or to book your Crafty Party.